Helping parents and coaches, help kids. Complete access to Dugout Captain's proprietary instructional library. 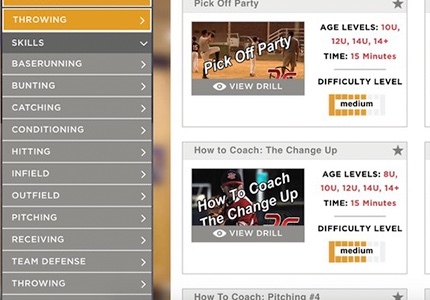 Created from real-life experience working with the most challenging athletes, drill details include video, text, diagram, and patented DC Keys to provide tricks and tips to save time and frustration. 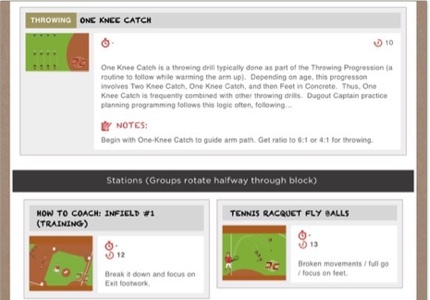 200+ ready-made and professionally programmed team practice plans, built with the drills from the DC Library. Each plan includes notes specific to that drills use at that practice for that age level. Plans available by age and by time length - edit a plan with the DC Clipboard to best fit your crew! Coach-the-Coach lessons for training pitching, hitting, infield, and the catcher position. Provide your athlete with a plan. The DC Athlete Development Plan provides a standardized curriculum for coaches, teams, and leagues. With bullet-point development objectives organized by age level, the curriculum is a running narrative to guide and support the volunteer coach. DC Practice Plans combine to achieve these objectives, and provide the coaching roadmap to effectively and efficiently expose the athletes to all of the goals laid out by the curriculum. Dugout Captain's proprietary Virtual Clipboard technology (patent-pending) is the unique tool that allows users to apply instructional content to the ball field. 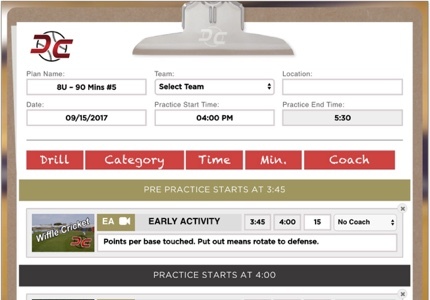 Build or borrow a practice plan onto the clipboard, then share an interactive plan to assistant coaches and team families. 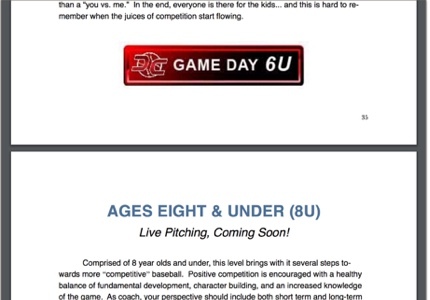 Share a homework drill with a struggling team member, or use DC's Skill Training Lessons to train your own athlete in hitting, pitching, infield, or the catching position.